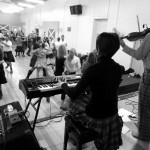 The June Chaotic Ceilidh saw another great sold out night of dancing – see you all in September! Ready for Chaotic Ceilidh Fun? Another sold out Chaotic Ceilidh last night saw enthusiastic dancers take to the floor for a night of fun as part of the Commonwealth Ceilidh with brilliant music by Chris and Catherine. See you all again in September! 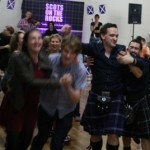 Tickets for the 21 JUNE CEILIDH to non SoTR members go on sale from 10am Sunday 15 June @ TRYBOOKING. Go to www.sotr.org.au/chaos for details. Note as our ceilidh is part of the Commonwealth Ceilidh, celebrating the 20th Commonwealth Games in Glasgow, the first dance is at 7:30pm.